Is Email Marketing Still a Viable Option? Home » Blog » Posts » Does Email Marketing Still Work? These days, with social media and other methods of reaching customers, you may be reconsidering email marketing altogether. Often, organizations are concerned their emails will end up in spam folders, so they avoid efforts at marketing through email. Is email marketing still a viable option? 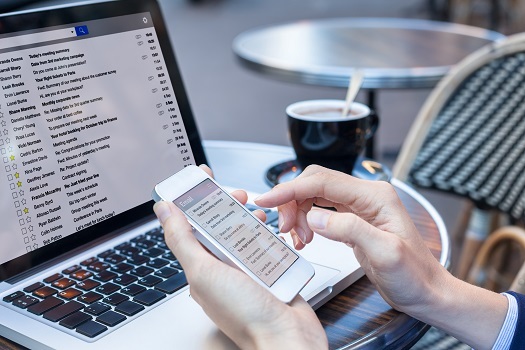 The marketing experts at Saba SEO, a leading San Diego SEO and marketing firm, offer this advice on how to achieve effective marketing with email. As social media formats like Facebook and Twitter change their algorithms, your business page and message have to work harder to get into your customers’ feeds. Email gives you the control you need to ensure your customers are getting your latest information. Building a solid mailing list gives your business options. Create something of value for free, such as an infographic, tip list, calendar, or other item your website’s visitors will find valuable. Let these potential customers know they’re signed up for your email list, and give them basic instructions on how to keep your emails from going to their spam folders. A regular newsletter is a great way to share knowledge related to your business. Make it fun, interesting, and easy to read. A list is an easy format for your subscribers to digest. Write the newsletter as if you’re writing to a close personal friend. Invite your email subscribers to visit your site by previewing your latest blog post. Offer links to video and other interesting visual information related to your business. Don’t forget to include links to your latest news, online webinars, and publications. Offer a call to action. Include testimonials, high-quality photos, and information on your latest products. Make it easy for customers to find the buy button. Offer a survey specific to your niche. You can even create a survey about your business and ask what your customers need. Publish the results of the survey and implement some of the ideas suggested. A comprehensive marketing strategy should include several modes of communication, and emails can be quite effective. If you need expert assistance with creating an email marketing strategy or revamping your existing one, the professionals at Saba SEO, one of the top San Diego marketing companies, are here to help. For more than a decade, we’ve helped businesses of every type maximize their marketing efforts, build loyal customer bases, and boost revenue. Reach out to one of our marketing specialists today at 858-277-1717.